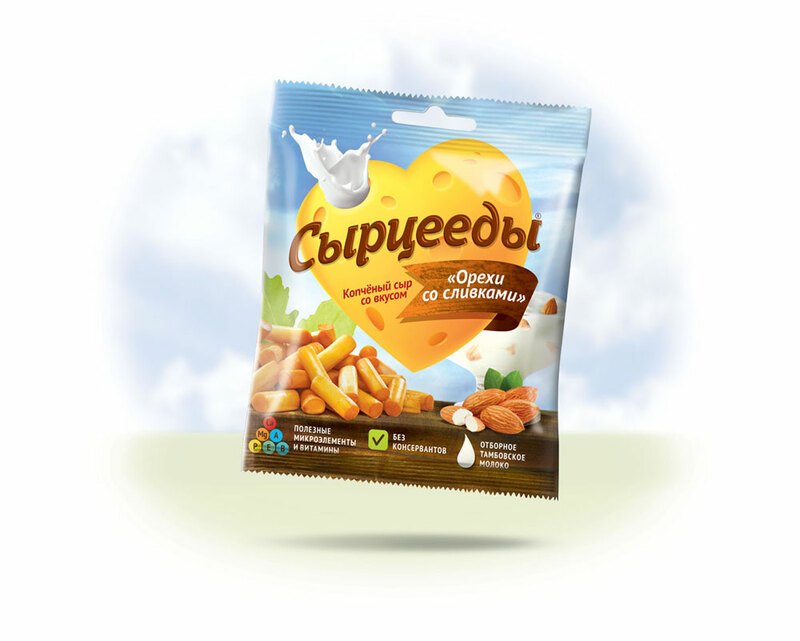 Syrceedy (Rus. 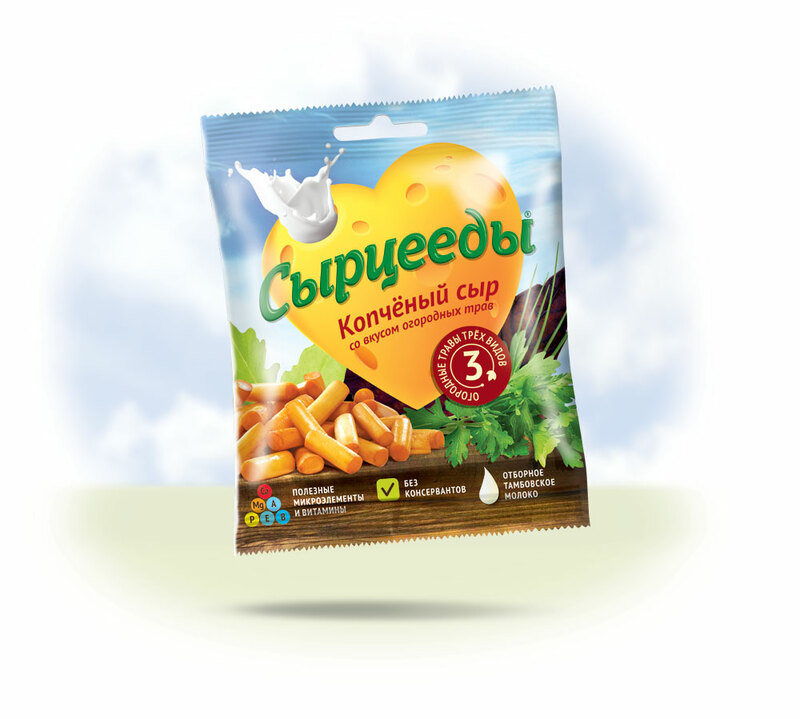 : «Сырцееды») is the leading brand on Russia’s snacks market. 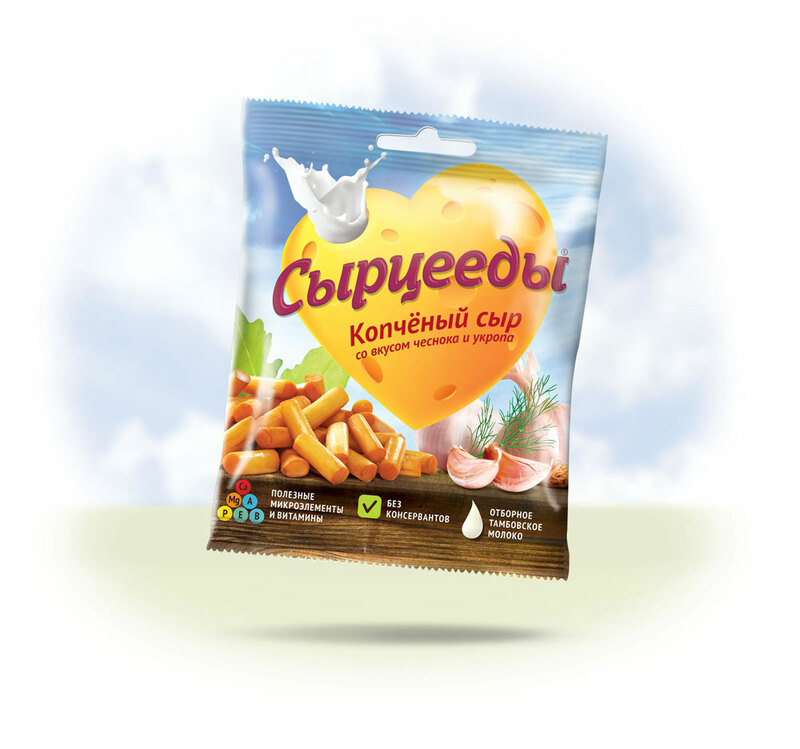 It is also the first all-natural snack introduced in Russia and CIS. 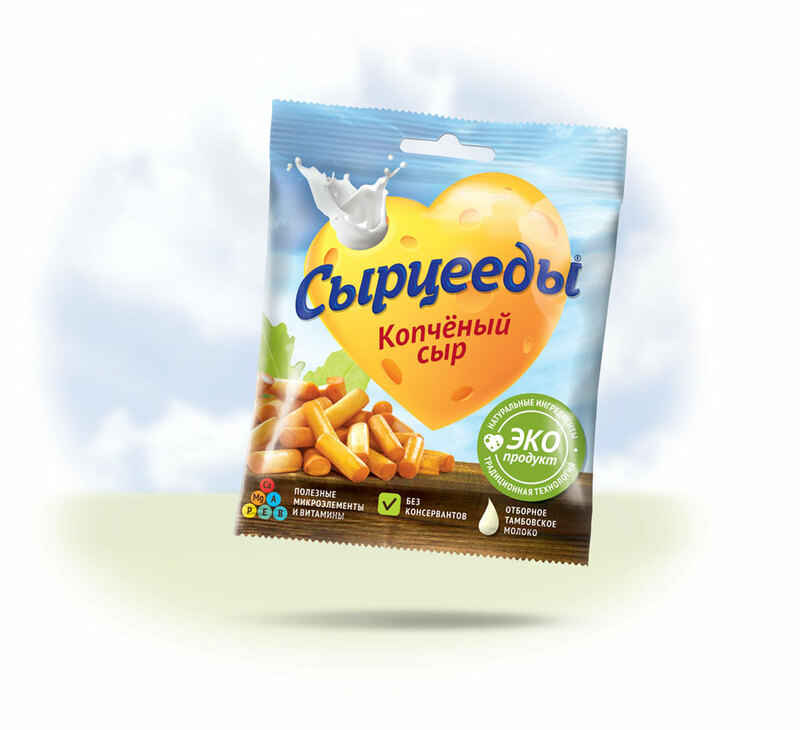 Syrceedy is real cheese made of farmer’s milk, rich with minerals and vitamins, and traditionally smoked with alder wood — a perfect offer for those who love life and healthy diet. 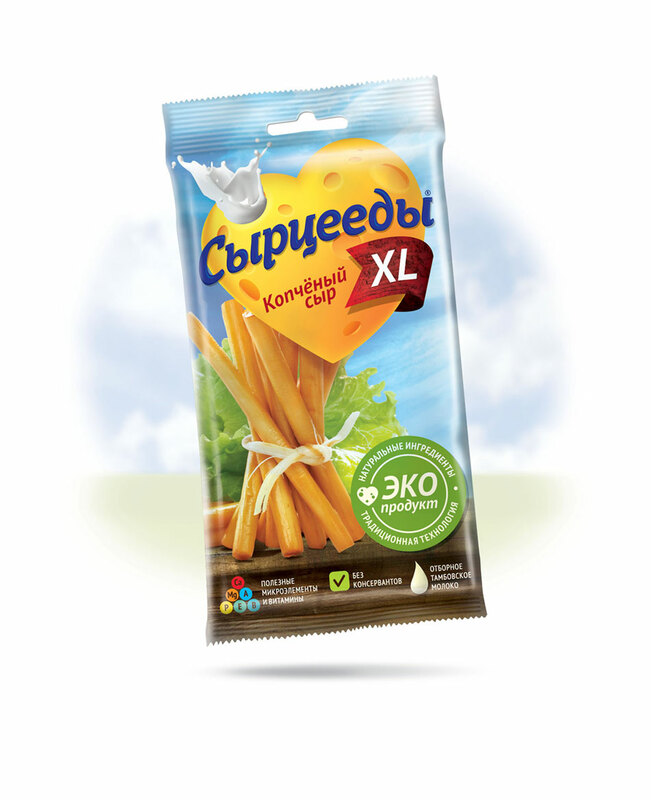 In 2011 after technological update, Syrceedy develop new marketing strategy. 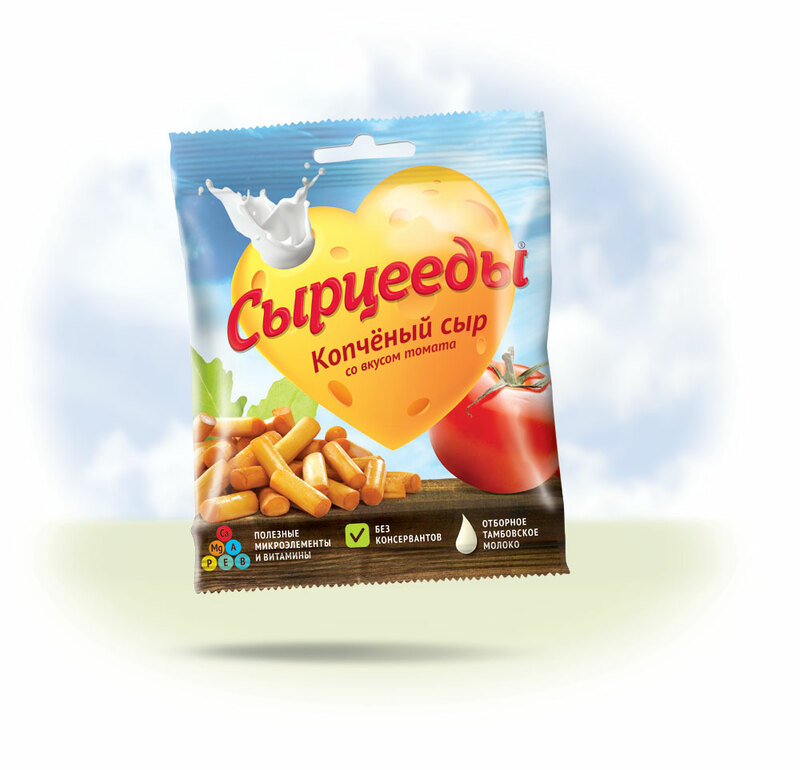 The challenge of the project was to express new positioning statement: Healthy Snack. The concept was developed into a vivid, emotional and optimistic brand language. Cheese Heart, which serves as a central element of design, transmits the idea of healthy life, positive energy, and of course, affection to cheese. Cheese Heart definitely became basic metaphor of the brand. Another aim of design was to build a distinctive differentiation of tastes in product line. So, the solution was to establish it just with the help of food styling: tomato, garlic, lettuce are natural descriptors on Syrceedy package. It looks well-balanced, and it works. We also paid great attention to informing customers about technology, so special iconic system was developed and placed on the front of the package. 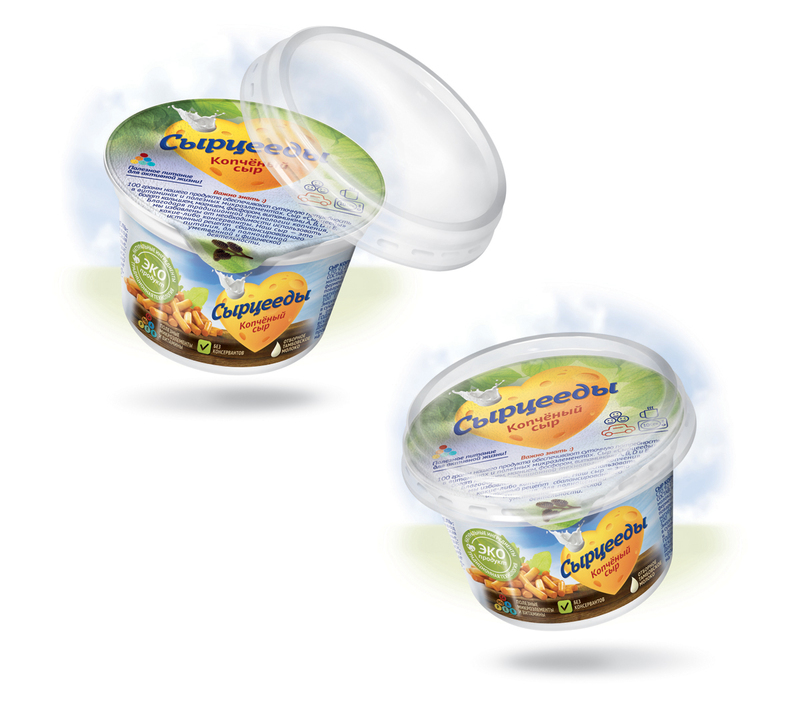 The icons speak of milk quality, composition of minerals and vitamins, and eco-labeling. Research, strategy and positioning, concept, brand identity, design of packaging, POSM and print.